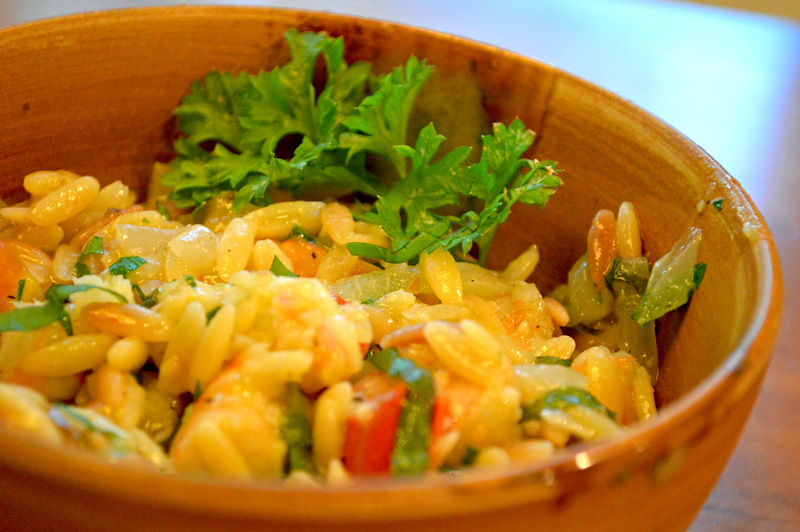 Spicy Shrimp Orzo with Fresh Herbs – Dancin' and Cookin' in the Kitchen! Another lighter dish… but DOES have the carbs. No cream or butter though!!! WOOHOO! So… it’s a yummy one! Preheat oven to 400°F. Coat a 9-by-13-inch (or other 3-quart) baking dish with cooking spray. Put a large pot with 2 cups chicken broth on stove to boil. Put the Shrimp single layered on the 9×13 prepared pan. Cover w/1 TB olive oil, salt and pepper and sprinkle with the pancetta. Place in oven and cook for 12-15 min (depending on shrimp size). Heat oil in a 2-quart skillet over medium heat. Add onion and garlic and cook, stirring, until softened, 3 to 4 minutes. Add wine and cook for about 1 minute. Stir in salsa, 1 1/2 tablespoons, salt, pepper and crushed red pepper; cook for 5 minutes. 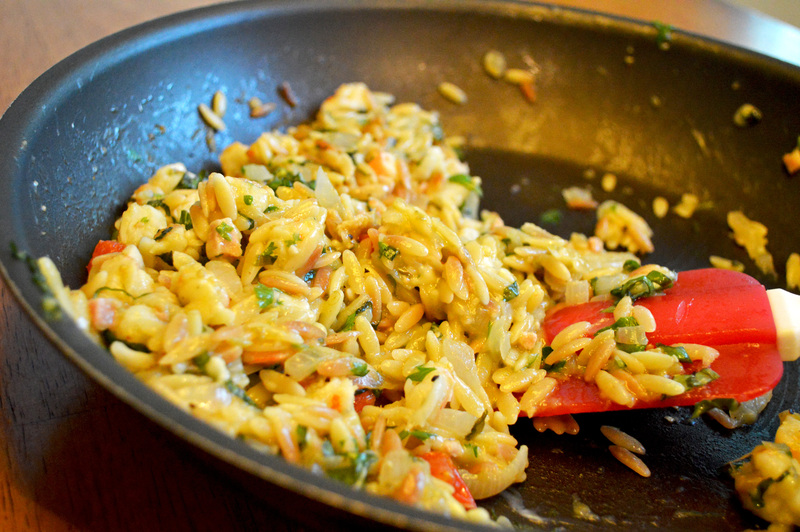 Cook orzo in the boiling chicken broth until tender but still firm, 8 to 10 minutes. Drain and transfer to the skillet with the sauce. Toss with the tomato-shrimp sauce. Sprinkle with feta and the remaining 1 1/2 tablespoons parsley, basil, parmesan and spinach. Stir until cheese is melted and gooey. Serve immediately and drizzle with pesto if so desired. It was light and fresh and I LOVED it!! I do have a cold, and am a bit congested and therefore could not taste it as well as I probably should have to do a review of this… BUT I really liked it! 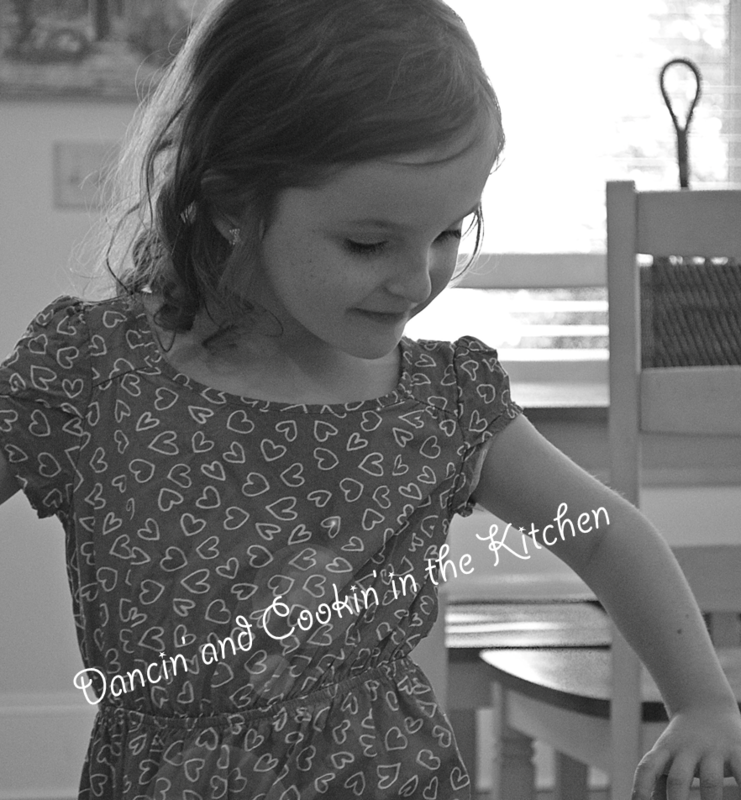 My husband says that it was very packed full of flavor and a great dinner! No sides needed!